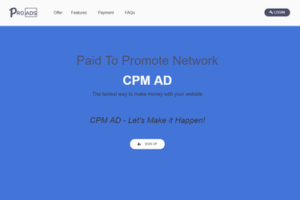 An affiliate marketing website is a website designed, built and used wholly or partially for the purpose of achieving click-throughs to an affiliate partner, who will pay commissions for each click-through or purchase made by visitors channelled from your website. Successful affiliate marketing websites can make significant amounts of money for their owners by receiving high levels of traffic and successfully converting them to click-throughs, but there is more to making money with your affiliate marketing website than simply throwing up some random content and waiting for visitors to turn up! Generating interest in and traffic to your website and ensuring that your visitors follow through with a click to the relevant link depends on a variety of factors, including identifying your target audience, reaching them and getting their attention, and marketing your site to the relevant demographic. But the very first stage of the process and the one upon which the success of your entire business model will stand or fall is your affiliate website itself-and in this article, we will look at how to create affiliate websites that convert, and setting up an affiliate programme to work with them. In order to make money as an affiliate, you first have to know how to make a website for affiliate marketing that works effectively. While there are many companies out there that offer free websites, domain names and hosting packages that will allow you to get started with a simple affiliate website quickly, these are not usually a good choice. Free website companies often place restrictions on the type of content they will allow, almost always rejecting those in the adult or dating niches, and so, limiting your scope as an affiliate. Free website platforms also use advertisements to fund their sites, which takes the spotlight away from your content and also, often looks and feels cheap-because they are! However, there is no reason why you cannot use a template site or a popular, low cost design and hosting platform like WordPress to produce a simple affiliate website. 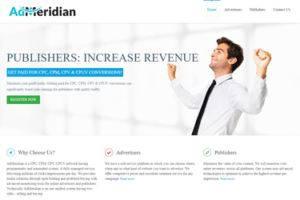 Many successful affiliates do just this, as such platforms allow you to set up an affiliate website quickly and cheaply, and some website companies actually specialise in providing affiliates with responsive, comprehensive website designs and templates that can be got up and running quickly and easily. Regardless of whether you use a template, hire a professional website builder or code your entire site from scratch yourself, the basics of every successful affiliate site are more or less universal. Create strong text content that integrates your appropriate keywords, but that is also fully up to the challenge of meeting your real visitor’s needs. It is these visitors that will ultimately make money for you, and so your text should appeal to them, provide what they want to read, and use strong calls to action to ensure that your referral links perform well. Whether you choose an affiliate programme to work with and design your website around it, or set up your website and then look for a programme that compliments it, the basics of how to set up affiliate marketing partnerships that work remain the same. Identify a specific niche or spectrum of niches that you wish to work with-or check out affiliate programme offerings to see what is available and what you think will work for you. 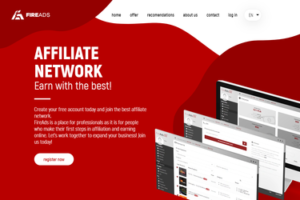 Then, look for an affiliate programme with a range of relevant affiliate partners available, and a proven track record of success within the niche. 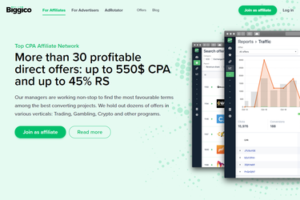 The best affiliate programmes are easy to use, offer access to a range of profitable partners and provide the right tools to help affiliates to get going and maintain their programmes, including analytic tools and trackers, support and advice, and a clear and fair commission and payment structure. When you have identified an affiliate programme that you wish to work with, check out their requirements for affiliates and ensure that you meet them-fine-tuning your website if necessary to meet their standards-and submit an application to join the programme. Once approved, you will be able to select your partners, find appropriate links, and start integrating them into your new affiliate website. 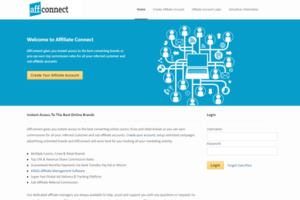 Once you have joined a good affiliate marketing programme, make full use of their online knowledgebase and other support for affiliates in order to get your partnership off to the best possible start. Check out the partners and links available and be selective about those that you work with-populating your website too heavily with a range of different links can be off-putting for the very visitors that you need to attract, and your links should be integrated naturally and carefully within your organic content. Use your website content to show visitors what they want and teasers of what you can give them if they follow your links, and use strong calls to action throughout your content in strategic places to encourage your visitors to click through. Don’t expect to make a lot of money during your first days and weeks-use this time to work on generating traffic, fine-tuning your content and analysing what is working for you-and what isn’t. Don’t forget the importance of marketing your website externally too-traffic rarely rolls in on the back of strong SEO alone, unless you really are the only website targeting your specific niche, and are doing so with optimum efficiency. Be prepared to invest some time and money into advertising your site and getting the word out there, using incentives, teasers and social media interaction to get people talking and funnel traffic to your website. Analyse your website and affiliate stats critically during the early days, potentially trying out a range of different approaches with different websites and audiences, tackling problems such as high bounce rates, or lots of traffic but no clicks. Keep an eye on the competition too, and make sure you stay ahead of the game. The best affiliate programmes want you to succeed-your success is their success, after all-so make the most of the services your affiliate partners offer in terms of incentives, promotions and advice for affiliates, to give you the best chance of making money and building up strong and profitable long-term relationships with your affiliate partners.